​On Wednesday it was the turn of Ms Sheridan and Ms Smith's classes to venture forth as they investigated the treasures of IMMA (the Irish Museum of Modern Art) and Richmond Barracks. At the Irish Museum of Modern Art they saw a great variety of exhibits including portraits by Lucien Freud, a carved wooden head by Steven Balkenhol and a pair of spinning blue shoes created by Rebecca Horne entitled 'Bring Me to the Other Side of the Ocean'. The students also got to see the museum's collection of photographs as well as a video illuminating the history of the museum and its works. After this they travelled to Richmond Barracks in Inchicore. Curiously, their first stop was at a graveyard outside the barracks. Here they were shown graves of several people including one commemorating Eugene, an eight year old boy who was shot dead just before the end of the 1916 Rising and also the grave of William Cosgrave late of Knocklyon and a previous Taoiseach of our country. Inside the barracks proper, the students were shown historical artefacts found in the building including a sword, guns and old keys. The heard stories and saw a video about the 1916 Rising and then they visited an old classroom where they sat in double desks and tried to write with ink from inkwells - Maybe they might now agree that our current school isn't such a bad place to go after all. She went on to say that it was a thrilling contest in which all the boys played brilliantly and gave it 100%. Dara Mulready scored the winning goal in the second half, however it was very much a team effort. The sun was beaming, supporters were out in full force and the atmosphere was electric. 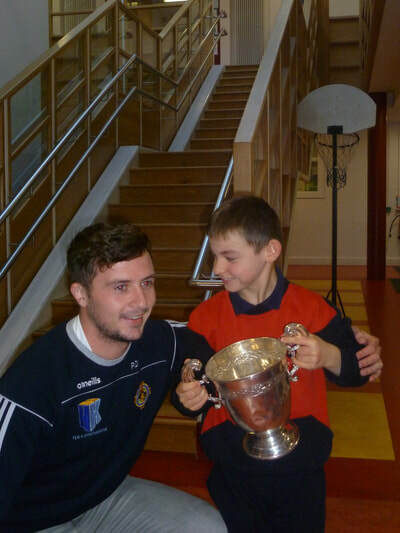 The captain Conor Delany presented the team with their medals and held up the trophy for the first time. The team had had a special guest appearance from Graham Shaw on Thursday morning before the final. (Graham Shaw was the head coach of Ireland’s Women Hockey Team from 2015-2018. - see above). He gave the team some inspiring words and wished them well in their first hockey final. Well done to our Boys Hockey team and our gratitude to their tireless coaches of the team Ms Kate Kirwan, Fiona McMahon & Sinéad O’Mahony. With 420 boys and 400 girls competing, there was tough competition. Five of our boys finished in the top 50, running an impressive 2k. An amazing achievement for our girls team who successfully took the title of champions on the day with their top four runners finishing 2nd, 4th, 12th and 22nd. ​ What a proud day for all of St. Colmcille's athletes. ​The Confirmation provides one of the highlights of the school year and this year was no exception. Over two days this week, Bishop Eamonn Walshe led the ceremonies assisted by Fr Joe, Fr Fintan and Fr Martin. In his homily, Bishop Eamonn addressed the candidates for Confirmation in his own inimitable relaxed and informal style. He told the children that they had ‘3 bones’; a wishbone, a backbone and a funny bone. Their wishbone was what made them aspire and have ambition - he urged them to use their wishbone to ‘Go for it’. Their backbone was their source of courage and - reflecting the theme previously highlighted in the Ceremony of Light - he told them that in their lives, they would face adversity and challenges to their faith and he encouraged them to have the strength to face up to these. The funny bone he said was for ‘Giving yourself a break’; mistakes are okay, don’t dwell on them or take life or yourself too seriously. Fr Joe, Fr Fintan and Fr Martin were thanked during the ceremony and the contribution of the Carmelites to our community was acknowledged. Bishop Eamonn also complimented the children on how competently and respectfully they had read prayers and readings, participated in the opening procession and dressed the altar at the beginning of the ceremony. The School Choir and Grúpa Tradisiúnta provided beautiful music for the occasion and Ms Ruth Kelly, as always, deserves our sincere gratitude for her accompaniment on the piano. The SNAG Mascots - Peadar and Réaltín (pictured here) - have come to remind us that Seachtain na Gaeilge continues this week. Seachtain na Gaeilge began last week and saw a host of different Irish language-based activities undertaken throughout the school including art competitions, daily draws, floor and board games and many more. This week promises to be just as interesting with many looking forward to the inter-class Tráth na gCeist (Quiz) which always raises excitement levels in the school. Córfhéile has for many years provided the students of St. Colmcille’s SNS with an impetus to strive for excellence in singing and musicianship and this year, once again, it gave a priceless opportunity to 3 very different musical groups to to grow in music and to express themselves in performance. First up were St Colmcille's Folk Group - a large choir under the direction of Ms Luke, Ms Mc Mahon and Ms Murphy. Accompanied beautifully on piano by Ruth Kelly they sang a lovely arrangement of the Cyndi Lauper classic 'True Colours' followed by 'Naughty' from 'Mathilda' and finished off with the well-known Irish song 'Beidh Aonach Amárach'. Our Grúpa Traidisiúnta are particularly blessed this year to have a quintet of fine traditional musicians to guide and develop them as, this year, Ms Neville, Ms Kirwan and Ms Woods have been joined by Kerry duo Maurice and Sarah O Keefe. The Grúpa took to the stage and began their set with an unusual arrangement of the classic 'Fáinne Geal an Lae, followed by a rousing rendition of 'The Rattlin' Bog'. They ended their set with 'Trasna na dTonnta' which segued seamlessly into the opening number from the School Choir as they took up the running and continued with a choral version of the same song. Once again accompanied by Ruth Kelly on piano they moved through a faultless performance of 'Panus Angelicus'. The choir, which will feature prominently in the upcoming Confirmation ceremonies have worked tirelessly every week since the beginning of the year under the collective batons of Ms Nixon, Ms Toner and Ms Walsh. ​As if there wasn't enough going on in the school, this Thursday was World Book Day! As always, St Colmcille's got into the spirit of the day with many different activities including DEAR ('drop everything and read') Time, Radio Colmcille and a book review competition. On the left is Ms Walsh's class getting into the spirit of the day. You can see more children 'absorbed' in books in the slideshow below. Dea-scéal ó Choirm Gael Linn - bronnadh dhá Gradam ar Seomra 12 agus an Grúpa Ceoil don dráma 'An Príomhoide Nua'. Great news from the Coirm Gael Linn drama festival in Clontarf - Room 12 and the Grúpa Traidisiúnta have picked up two awards for their Irish drama 'An Príomhoide Nua'. Check out the Events link above for more details. Who needs the Oscars!!!! Zeeko is an organisation which seeks to equip parents and teachers with the knowledge and tools to protect children online and to empower children to make smart decisions to protect themselves online. To date, they have made presentations to 20,000 Irish students in over 400 schools so the presentations Karl made, were very much based on Irish children’s use and experience of the Internet. Karl sought to make the students of St Colmcille’s aware of the online ‘story’ of themselves they are building every time they access the Internet: how they are creating an indelible footprint on the Internet which is virtually impossible to erase. In the course of each presentation he addressed the areas of Digital Identity (your online story), Cyberbullying and how to respond to it, Online Deception, Inappropriate Content and Digital Health. There was a lot of activity this week among the school’s quiz teams. Coached by Ms Smith, Ms Mc Cormack and Mr Kearney, the school’s senior and junior quiz teams have put in a lot of ‘training sessions’ in recent weeks. All of this lead to the 'big event' - namely, The Credit Union's 'Power of 4' Quiz -which was held in our school hall last Friday evening. 10 Junior and 15 senior quiz teams competed on the night with St Colmcille's fielding 2 teams at each level. At the halfway stage of this hotly contested quiz, all 4 of our teams found themselves in second place in their respective competitions. By the end of play, just one of our junior teams retained that position, finishing in second place to Ballyroan Boys School. In another quiz event - a Harry Potter Quiz, held in Ballyroan Library on Thurs Jan 30th - St Colmcilles fielded 2 teams. One qualified for the finals, the other missed out on qualification by a single point. The final took place in Tallaght Library yesterday and, of the 12 teams that took part, our team came second in a very demanding and competitive event. This isn't the end of the 'quiz season, and we will continue to follow the progress of our very talented young quizzers in the weeks ahead. Catholic Schools Week is currently being celebrated throughout the country, running from Sunday last until February 3rd. This annual event calls on Catholic schools to give expression in a special way to a particular aspect of Catholic education. This year the emphasis is on Catholic schools themselves, recognising their unique contribution to the Catholic community and focusing on their inclusive, welcoming and vibrant ethos. ​This theme of 'Belonging' was celebrated and remembered in our school this week and it was echoed in a number of ways in our school through reflections spoken over the intercom, activities in individual classes and masses for all year groups in the parish church. Perhaps the most noteworthy of these was the mass on Wednesday for third class children who involved their grandparents in their celebration. In this very special event, grandparents were acknowledged as great teachers and supporters of young children and as people who have nurtured and passed on the gift of faith to new generations. Led by Fr Joe Mothersill, the children blessed their grandparents and, after mass, the children led their very special guests back to their classrooms where they served them refreshments and chatted to them. All in all, a very special day in which the school community paid tribute to grandparents and to their invaluable place in the lives of our children. In other news this week, St Colmcille's SNS welcomed a very distinguished visitor and an old friend of our school. Bishop Eamon Walsh visited the school today, Friday, - as he has done on several occasions in past years - to meet candidates for Confirmation, to talk to them and to offer them advice. 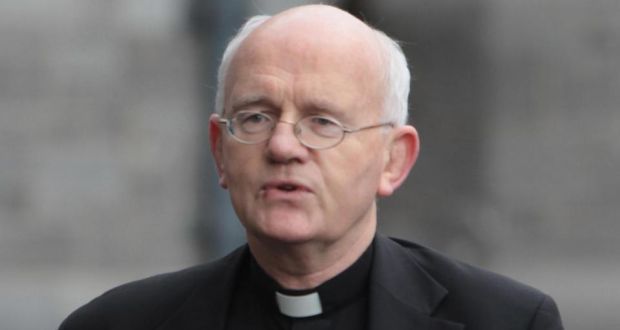 We thank Bishop Eamon for his support and look forward to seeing him again on Confirmation Day in March. 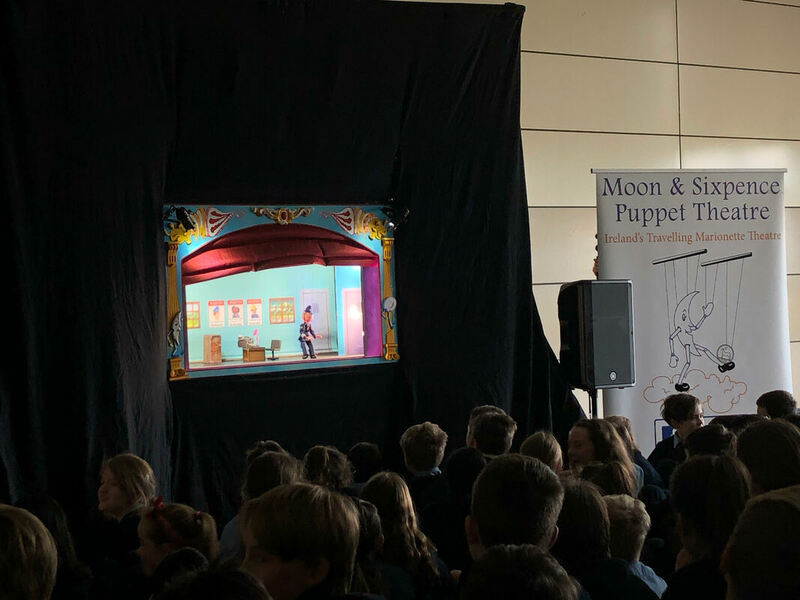 The Moon and Sixpence Puppet Theatre specialises in performances for primary schools. 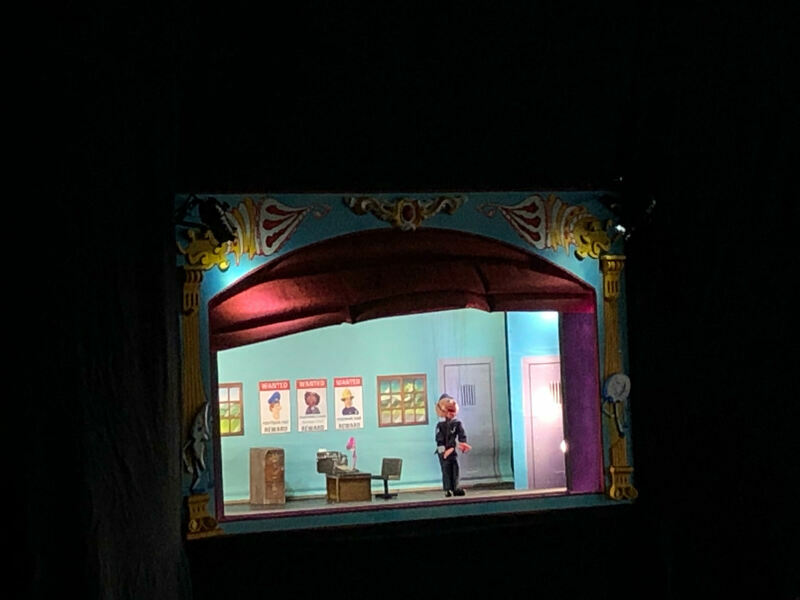 They provide very different marionette productions for junior and senior classes, but their storylines highlight important issues such as friendship, persistence, patience, recycling etc. While they have brought their message to our Junior school via twists on traditional tales such as Cinder Eile and Jacqueline and the Beanstalk, they opted to tell an original story to our Senior School students. The storyline included numerous references to the teachers in the school, including the staff members as if they were characters in the play, much to the amusement of the children. The Irish Times said of the Moon And Sixpence that their productions were 'Highly recommended as taste-forming theatre for children'. And who can tell what effect this theatrical, creative and inspirational production will have on those who're lucky enough to see it this week. 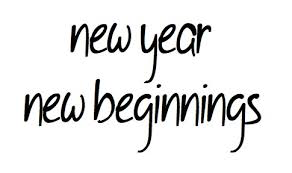 Last Monday saw the school stir into life after the lovely, long Christmas holidays. The sports teams are already plotting their campaigns, the choirs are clearing their throats and all and sundry are preparing for the challenges and opportunities that 2019 will bring. This week saw the traditional blessing of the school crib. Father Joe Mothersill officiated at a lovely event where the cribs made by our Sixth Class students were also blessed. See the slideshow below for a glimpse of some of the beautiful cribs. From its humble beginnings in a small cramped hall in the old building in 2007, St Colmcille’s Oíche Cheoil has grown into one of the flagship events on the school’s calendar. Awaited as always with great eagerness by students, parents and teachers alike, the event took place on Wednesday night with several hundred people assembling amidst great anticipation in the school hall. On the previous afternoon the large open space of three combined halls was organised and decorated by every teacher and SNA in the school working to create the perfect ambience and atmosphere for the following evening’s performance. As a result of their efforts and tasteful design, the lobby, atrium and hall areas were transformed. With subtle lighting, beautiful Christmas trees and handmade decorations used to great effect, the enchantment of the evening began as soon as you entered the school. But the evening was all about music and the depth and range of musical talent in our school was clear to see. Introduced by MC’s from sixth class, the evening began with the School Choir under the direction of Ms Walsh, Ms Toner, Ms O Brian and Ms Nixon singing a mixture of traditional and pop tunes. They were followed by our Grúpa Traidisiúnta and the Tin Whistle Group who moved seamlessly through ‘Fáinne Deal an Lae’,’ Maggie Pickins’ and ‘The Rattlin’ Bog’ and by Alva Brady who played a beautiful rendition of ‘Fairytale of New York’ on the violin. A short drama entitled ‘The True Meaning of Christmas’ was then staged under the direction of Ms Fahy and, following this our Boys Vocal Group entertained the audience with Adeste Fideles, Castle on a Cloud and a stirring version of Do You Hear the People Sing sung with great patriotic fervour. The School Choir then returned to the stage and finished their set with an eclectic mix of songs including Panis Angelicus, Calypso Carol and A Million Dreams. Our new school principal Mr Mc Gowan spoke briefly at the end of the performances remarking that, in his first ever Oíche Cheoil, he recognised the depth of ‘serious talent ‘ in St Colmcille’s School. He picked out our piano accompanist Ruth Kelly for special mention; she has been at the heart of school performances for years and adds a touch of class to all our musical endeavours. He then urged the audience to clear their throats and join with the performers and staff in singing a medley of well-known Christmas songs to round off the evening. The school’s staff – of whom over 40 were present - deserve credit for the many roles they undertook to make this unique and wonderful event possible. St Colmcille’s is a harmonious place full of talented people who combine, share and collaborate successfully for the betterment and enjoyment of everyone. A few weeks ago (when the weather was a lot better than it is now!) we reported on a very successful outdoor fun event which was organised by the school. The event raised more than €2,000 for charity. This year the chosen charity was 'Jigsaw' a Youth Mental Health organisation who provide vital supports to young people with their mental health by working closely with communities across Ireland focusing exclusively on 12 to 25 year olds. During the week, Gráinne from the Jigsaw Organisation visited our school to thank our pupils for their efforts and to tell them how the money they raised is being used. Our picture shows Gráinne addressing our sixth class pupils in the school hall this week. A few weeks ago we featured two new sports which are gaining success and popularity in the school - Hockey and Basketball. This week, saw one of them become champions of their league for this season. Under the watchful eye of coaches Ms Tara Walsh and Ms Alison Neville, our girls basketball team headed to the National Basketball Arena to contest the final of the Dublin Primary Schools Basketball League. With support from parents and fellow students in attendance, the team did the school proud, putting in a wonderful performance on their way to victory. According to their coaches, the girls 'showed superb teamwork skills throughout all of their matches'. Both coaches were extremely proud of their team and wished to to thank the girls' parents and guardians and the school for all the support they received. Last week saw the usual hum of activity in the school extend beyond normal hours as parents had face-to-face meetings with teachers. As always, the attendance rate was very high and we would like to thank parents for their interest in their child’s learning and their support for the work we do. Running concurrently with the parent-teacher meetings was the annual book sale. All indications are that it has been another bumper year of book sales and once again, we would like to extend our thanks to all the parents who sent in or who purchased books during the week. 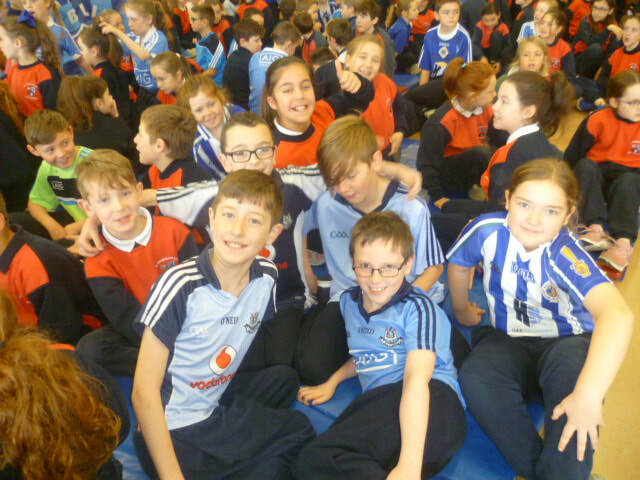 The busy beavers in Sixth Class who organised the Book Fair tell us that they have processed 5,482 books donated by parents this year and early forecasts of the final tally is setting this year's total at over €3,000. This money will be put to good use in stocking our school library in the months ahead. As the hectic week of sales ends and, the space once occupied by the Book Fair is currently being replaced by all manner of saleable items for the Parish Fair. It looks like our school hall will be competing with the chain stores all over Ireland in terms of its volume of sales on the Black Friday/Cyber Monday weekend! 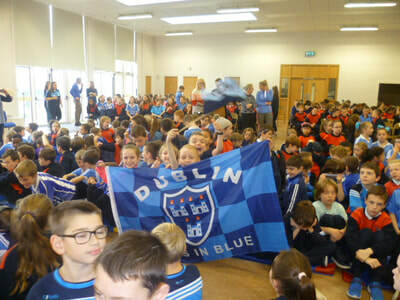 St Colmcille's is well-known as a school that promotes Gaelic games including hurling, football and camogie. However, in recent times, several other sports have been quietly making their mark in the shadow of the more established games. Our senior basketball teams have been very active, and indeed, very successful recently. Our 5th and 6th Class girls team have secured a place in the final of their schools competition. Their opponents will be Scoil Áine from Raheny and the final will take place in the National Basketball Arena in Tallaght on November 26th. For updates - watch this space. Outside of our senior girls' basketball team, our boys and girls basketballers have been actively training since early October with their coaches Ms Tara Walsh and Ms Allison Neville and with assistance from Templeogue Basketball Club. We look forward with interest to following their progress in the months ahead. Meanwhile a nascent school hockey team has been flourishing under the guidance of Ms, Kirwan, Ms Mc Mahon and Ms O Mahony. Both the boys and girls teams were in action in the Leinster Hockey League this week in Sancta Maria College. The girls were involved in a thriller against St Killian's NS and were all square at 1 - 1 when - in the final minute - St Killian's scored from a short corner. ​The boys match on the same day resulted in a draw with Whitechurch NS. Summing up on both encounters, Ms Mc Mahon commented that all players on both teams had 'played brilliantly' and she was looking forward with confidence to their next matches on December 3rd and 7th respectively. Other sports which are being pursued in the school - as part of the school day and school curriculum - include Rugby (6th Class) and Gymnastics (4th Class). Gaelic games may be deep in the DNA of St Colmcilles but its clear that there is a huge variety of sports currently being competed in and enjoyed by the students of our school. 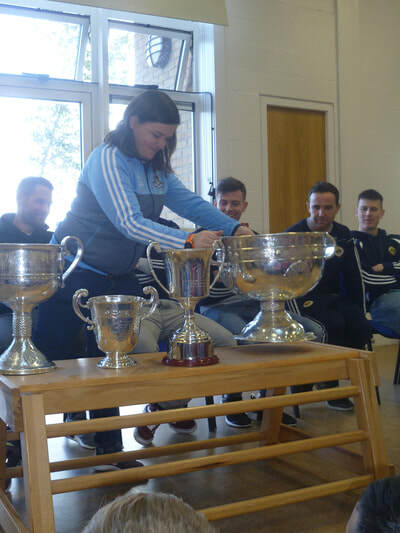 A glorious list of senior Dublin and Ballyboden St Endas players visited our school on Tuesday bearing a treasure trove of silverware representing their achievements in a succession of top GAA conpetitions and.......all nine are past pupils of St Colmcilles. 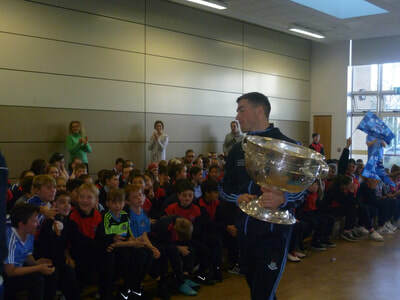 T o a packed hall of students, teachers and staff, Colm Basquel - who is on the Ballyboden senior hurling team and the Dublin senior football panel - introduced the centrepiece of the collection; the Sam Maguire All-Ireland trophy to the delight of everyone present. Then, Sorcha Farrelly - a selector for the Dublin senior ladies football team - presented the Kay Mills cup, the All-Ireland trophy for camogie which was won by the Dublin ladies senior team this year. Following that, Emily Flanagan of the Dublin senior Ladies football team presented the senior football All-Ireland trophy - the Brendan Martin Cup which Dublin won against a great Cork team who have won that trophy many times in recent years. Interestingly, when she spoke, Emily mentioned the she had been a young St Colmcille's student sitting in the hall in 2010 when Sorcha Farrelly had visited that year with the cup and she urged the girls present to keep working on their skills and enjoyment of the game so that, one day in the near future, they too might return to their primary school an all-Ireland champion. Finally, Shane Durkin, David Curtin (both teachers in St Colmcilles) and Niall Ryan, Stephen O Connor, Paul O Doherty and James Madden (all past pupils of our school) presented the New Ireland Cup - the Dublin Senior Hurling Championship hurling trophy - which they won this year. Again, they encouraged everyone who plays GAA in the school to continue enjoying and working on their game and to set their expectations high for their achievements in sport in the future. After fielding a few questions from the audience, the illustrious group exited the hall to the strains of 'Molly Malone'. Will one of those young voices return in future years to inspire others with their sporting achievements? Each year, for the last four, a team of teachers lead by Mr Mc Govern has promoted an initiative to raise funds and awareness of different charities. It all centres around a Friday afternoon event in which children are given the opportunity to participate in a wide variety of sports events immediately after school. This year the chosen charity was 'Jigsaw' a Youth Mental Health organisation which was established to ensure that no young person feels alone, isolated and disconnected from others around them. They provide vital supports to young people with their mental health by working closely with communities across Ireland focusing exclusively on 12 to 25 year olds. ​Around 40 of the school staff gave of their time to ensure the success of the event and, as the activities were coming to a close today, donations had exceeded the €2,000 mark. Another successful event where it seems that everyone has great fun and everyone's a winner. You could say that the school has been in the grip of strange craze over the last week. Students have become obsessed with homework assignments and have been spending oodles of time labouring over mathematical concepts and challenges on the Internet. All of this is down to a highly entertaining games-based learning website called MangaHigh which was introduced to the students as part of our annual ‘Maths Week’. 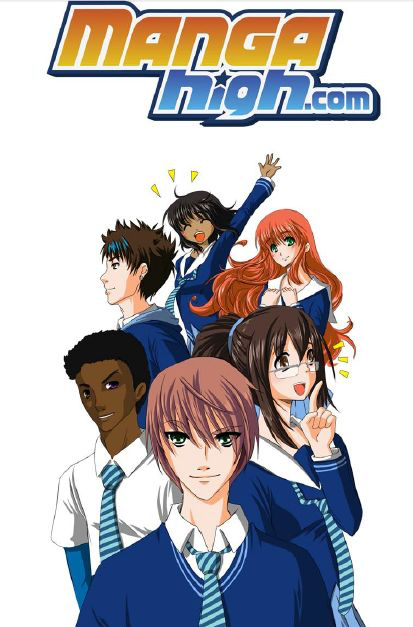 Although Maths Week has included a wide variety of events including inter-class quizzes, group problem-solving sessions, daily Internet target boards as well as all manner of puzzles, conundrums and Maths games, Manga High is the activity which has captured everyone's imagination and caused quite a stir. ​By Friday afternoon, and in just a single week, our students had amassed 17,895 medals, accessed 6,910 different activities and spent a total of 871 hours doing Maths online. This put St Colmcille's in the Top 10 schools in Ireland for Maths Week 2018. ​And within the school, the Top 10 students were Matthew Hui, Emma Donnelly, Maria Tabusca, Jove Jiby, Symone O Gorman, Saoirse Larkin,Yuvan Free Kandru, Janek Sarwinski, Pawel Sarwinsk and Luke Fay. Well done to all of you and to everyone who contributed to this year's total. Rosemont Academic Scholarship Award for 1st Year Entry September 2019. ​Closing Date for receipt of application forms is Friday 26 October 2018. For further information and application form please contact the Senior School office 01 494 2527.
will host an Open Day on Sunday 11 November 2018 @ 2.00 -3.30 p.m.
Three wee chicks were the 'big buzz' in the school this week. In their little coop situated in the Main Atrium, they attracted great attention from teachers, passersby and adoring students alike. The guardians of the chicks were Ms O Gara's 4th Class who, because they brought in the most batteries for recycling, took charge of the chicks from the day they hatched. Alas, the fowl fanatics only got to keep their charges until today. The little trio are to be taken away by one of our teachers, Mr O Connor, and are destined to live out their lives on a farm in County Limerick. Both our boys and girls senior football teams took to the field this week in the semi-finals of their respective competitions - the Corn Kitterick and the Corn Austin Finn. According to both coaches, Emma Moran deserves particular mention as she decorated a phenomenal performance with a string of spectacular scores. The boys faced Marino in Griffeen Valley Park Lucan on Thursday. Despite scoring 3 goals in 8 minutes at one point, it was not to be St Colmcille's day. The team's coaches Mr Dolan and Mr Ryan singled out brilliant performances by Conor Byrne, Jamie Farrell and Adam Mc Namee and said that, in fact, all the lads had been wonderful over the last 6 weeks and have been a great credit to the school. Fieldtrips – of the local history variety – continued as more Fourth Classes took to the road this week. In the capable hands of Tomás Meagher our students delved into the heritage of our local area as they investigated listed buildings, local monuments and curiosities aplenty. They began by inspecting the bronze cross gifted to St Colmcille’s Parish by renowned local artist Oisín Kelly creator of the impressive ‘Children of Lir’ sculpture which is the centrepiece of the Garden of Remembrance in Parnell Square and the imposing statue of Jim Larkin in the middle of O Connell Street. The intrepid historians then proceeded to the site of Prospect House where Kelly lived but which is now gone – a victim of progress – and now replaced by the ‘A Bridge’ on the M50 . The children did get to see the walled garden of the house however as well as the gatelodge of the artist’s residence. Other places visited included Knocklyon Castle which was built in 1450, the stone cross in Cherryfield and the ancient Balrothery Weir on the Dodder which has been around for nearly 800 years. The children were guided in their discoveries by an old friend of ours – Tomás Meagher who is a well-known historian and guide. Mr Meagher was impressed with the behaviour and level of attention of every one of the Fourth Classes whom he accompanied this week and in previous weeks. Further local history tours, led by Tomás, are planned for the year ahead and these will be reported on in due course. As mentioned below - a record of this tour can be found in the Kids' Zone area of our website .Just go to 'Pupils' Work' area and click on 'Fourth Class'. Through its involvement in a wide variety of competitive sports and its in-school Physical Education curriculum, St Colmcille's SNS has always been an 'Active School'. This year however, the school is taking things in the area of health and activity to a new level as it goes in pursuit of an 'Active Schools Flag'. Active School Flag (ASF) is a Department of Education and Skills initiative supported by Healthy Ireland. The Active School Flag is awarded to schools that strive to achieve a physically educated and physically active school community. The process aims to get more schools, more active, more often. As part of the programme working towards an Active Schools Flag, St Colmcille's students have been 'running round Europe' all week and will continue to do so over the coming weeks. Every school day each class runs as many times as possible around one of two courses, each measured at 500 metres per lap. Each child does as many laps per day as they can manage and the totals for every group is totalled and sent to the ASF committee each day. Lap totals are added up for each 'House' - there are six 'Houses' in the school, Doire, Tí​r Chonaill, Movie Kills, Iona and Gartan - and all of this information is converted to kilometres and plotted on a map of Europe showing how far each House has run across Europe. At the time of writing (and after only five days of running) the competition is very close with four of the six houses reaching a total of over 1,300km - very impressive. We will be reporting on many more Active Flag activities throughout the year so - watch this space. Our Fourth Classes recently went on a walking tour of Knocklyon . Check out a record of this tour in the Kids' Zone area of our website. Mr. Ryan's Corn Kitterick away match will go ahead - team depart school at 2.20 p.m.
All other matches and training has been cancelled. Basketball has also been cancelled. which were scheduled for this afternoon have been cancelled. Last week our boys' football teams kicked off their season in the week after the Dublin Senior football team won the All-Ireland. 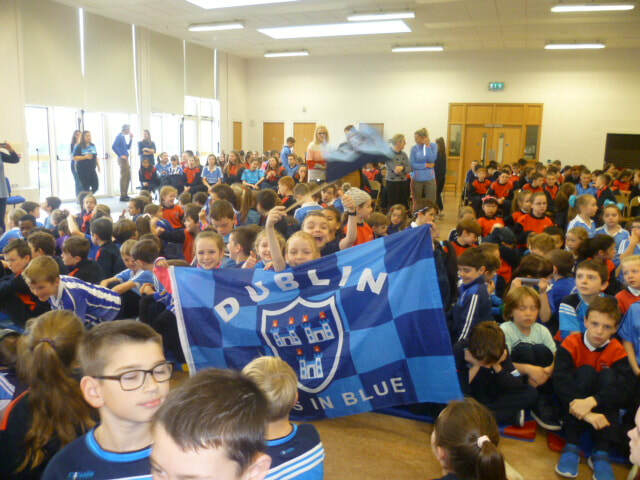 This week our girls teams took to the field for the first time and we've just seen the Dublin Ladies football team win another All-Ireland for their county in Croke Park. Our senior girls' team in the Corn Austin Finn opened their account in emphatic style winning with a scoreline of 6-12 to 0-1 in St. Anne's Park Raheny against local school Scoil Áine. Their coaches - Mr Kearney and Ms Ní Fhearghaíl - were delighted with this strong opening performance and attributed the win to being 'strong in defence and accurate in attack'. Let's hope they can keep up this high standard at their next outing which is next Wednesday in Sancta Maria. Coaches Ms Timmons, Ms Whelan and Ms Mc Cormack took our girls' Corn na Laoch team to Sancta Maria this week to face Baile Eoin GNS. Unfortunately they were beaten on the day but there were many positives to be drawn from their performance. The girls played with great determination and solid teamwork and showed great sportsmanship throughout the game. The coaches picked out Alex and Alena for special mention - both goalkeepers pulled off some great saves during the match. They return to Sancta Maria next week to face Scoil Bhríde and we wish them well in that fixture. There were two more boys' matches this week. Mr Bonham took his team to Cherryfield to play Hollypark BNS and ran out comprehensive winners with a scoreline of 4-8 to 1-3. The coach was impressed with all of his team but picked out Tom Buggy in midfield as man of the match. Our Corn Kitterick team weren't successful this week. despite being ahead by 7 points at one stage, the lost the match against Hollypark 2-2 to 2-7. Coaches Mr Dolan and Mr Ryan praised their team's link play and running off the shoulder and pointed to impressive displays by Conor Byrne, Alan Gannon and Isaac Barry. We wish them well in their next match - away to Drimnagh Castle. competitive fixtures of the new school year. First off the mark were our Corn Kitterick hopefuls who played Ballyroan BNS in Cherryfield - and what stiff opposition they proved to be. At one point in the first half they lead by 0-9 to 0-1 but a spirited second half performance saw our lads come to within 3 points of their opponents. However, it wasn't to be their day and Ballyroan ran out decisive winners in the end. Coaches Mr Dolan and Mr Ryan picked out Dara Durkin, Darragh Ormsby and James Roache for special mention and say they are looking forward with confidence to their next game - on Sept 13th vs Hollypark. Our other boys' team - under the direction of new staff members Mr O Keefe and Mr O Connor - had better luck in their fixture against St Mary's BNS Rathfarnham. To a man, our boys put in an energetic performance scoring 4 goals and four points from play. According to their coaches they are working well as a team and are showing promising signs for the season ahead. Final score was St Comcille's 4 - 5 to St Mary's 3 - 7. We look forward to more great performances when our senior girls' teams take to the field next week. Watch this space. St. Colmcille's SNS and JNS reopen tomorrow morning at 8.50 a.m. Please be aware of SDCC roadworks on Scholarstown Road leading to Knocklyon Road. Please click on the link to the letter below for further information. The Uniform Shop will be open on Tuesday 28 August 2018 from 12 noon to 1.30 p.m. Please note that the shop will resume normal opening hours on Thursday 6 September 2018 1.30 p.m. - 2.30 p.m. The idea of the Lá Cheoil is to focus attention on music as a curriculum subject and to give children exposure to a wide variety of musical experiences. This year the children rotated through activities as diverse as rhythm and percussion, composing, dance, responding to music through art, a bodhran workshop and a musical quiz. The high point of the day was - as always - when the entire year group assembled in the hall for a special musical gathering with Michael Vignoles, our visiting bodhran expert, who - after giving an insight into the art of uileann pipe making and playing - accompanied the children as they sang their way through a selection of songs from a repertoire built up over many Fifth Class singing sessions in the hall this year. The Lá Cheoil seems to get better and better each year. We're looking forward to 2019's event already. The 'Tourist Season' continues this week with outings by Fourth Class in midweek to Marlay Park for some fun and frolics followed by, well, more of the same at the National Aquatic Centre (see photo left) and today, Friday, by our Third Classes to Lullymore in County Kildare where they will explore peatlands, biodiversity and a pet farm. First out of the blocks were Sixth Class who visited Avon Rí Adventure Centre in County Wicklow. There they engaged in all manner of fun and challenging activities including kayaking, rock climbing, abseiling, archery, zip-lining and segwaying. How did they manage to fit all that in in one day! Fifth Class also ended up in the 'Garden of Ireland' where they visited Wicklow's Historic Gaol. This jail was used to imprison all kinds of 'wrong-doers' including thieves, rebels, priests and even the father of a future president of Ireland. There is no mistaking the eerie atmosphere which still exists in this building and it was quite a scary experience for everyone - especially when they visited the dungeon. To lighten the mood, all Fifth classes stopped at Bray Beach on the way home for a picnic and, of course, an ice cream - followed by a game of ten-pin bowling at Bray Bowl. An exhausting but thoroughly enjoyable day where everyone behaved impeccably and came home safely (although a little late). 7.00 p.m. to 8.30 p.m. Almost 50 athletes from St Colmcilles travelled to Santry this week for the final athletics event of the year and the hugely anticipated Cumann na mBunscoil track competition. Ms Sinnott, Ms Minogue and Ms Devine had been preparing the athletes for the 100m sprint and the 4X100m relay for the past few months and the children were excited to finally get on the track and compete. The 100m sprint is undoubtedly one of the toughest athletics events but this did not phase the 4 boys and 4 girls who took to the field for St Colmcilles. Four of the eight came home with a gold medal winning both their heats and their finals. They were Jason Nolan, Laura Halpin, Angel Nna and Ella Curtin. The relay is a tricky event involving both speed and skill where passing the baton efficiently to the next runner is essential. Once again our school shone on the track: all eight relay teams amazed the spectators with their ability and five of our teams managed to bring home silverware on the day. Our U-10 girls, U-11 girls, and U-14 boys all won their events while our U-12 girls and U-14 girls came 4th and 3rd respectively in their relays. This meant that they brought home a total of 3 cups and 24 medals. The coaches would like to say a huge thank you to every child that trained - regardless of whether they got to compete in Santry or not - as each one of them impressed with their unswerving commitment and great attitude. What an amazingly successful year it has been for the school in both track and field. The annual Santry Athletics competition had its 90th anniversary this year. To celebrate they held a competition to find a design for a suitable banner to commemorate the event. Our very own Emma Moran ( who was also a competitor in the athletics events ) won this completion with her stunning poster (seen here). But this was not our only success in Santry. A team of 21 athletes representing St Colmcilles SNS went to Morton Stadium in Santry this week to compete in the Cumann na mBunscoil field events, hurdles and 600m competitions. It was an extremely busy day with the participants competing at multiple locations around the stadium. First off were the hurdlers. Six of our athletes were competing in this event, four of whom made it into the final. Three of these came home with medals : a gold for Conor Byrne, silver medals for Emma Moran and Heather Bolger while Matthew Kirwan, Doireann Fitzgerald and Pharrel Ankoh fought hard but were unfortunate on the day. Next up was Ella Sherlock who competed in the para-sprint race coming in in second place. Well done Ella. While Ella's race was going on, Allie Nealon and Alejandro Corcoran were jumping for a top place in the long jump. Unfortunately both missed out narrowly on a medal coming in fourth place. Six of our athletes competed the extremely tough long distance 600m race. Of the six athletes - Jason Nolan, Adam Mc Named, Sean Luz, Laila Halpin, Rachel Lawlor and Shannon Blake - Laila and Shannon came 2nd and 3rd respectively and were presented with medals on the podium. In the high jump and shot putt events we had 6 competitors - Angel Naa, Ciarán Sharkey, Ava Cullen, Josh Cooney, Emma Byrne and Patrick Walsh. All six put in great performances however Angel was the only one to get a medal. This she did in great style, easily jumping the final height and taking home a gold. The 3 teachers involved were thrilled with each child's performance as well as their commitment to training in the lead up to the event. Most impressive however was their behaviour and support of each other on the day. As this photo shows, the St Colmcille's team were very successful in these events. Further updates, details and photos will be uploaded to this page as they arrive. This week, St Colmcille's had our two senior teams involved in hurling and camogie semi-finals. The boys senior hurling team put up a fighting performance before going down narrowly to St Marys Rathfarnham. Our girls camogie team also put in a fine performance during the week and were rewarded with a 3 - 2 to 2 - 0victory over Scoil Áine Raheny. They have now qualified for the Sciath Puirséil final in Croke Park which will be held on Tuesday June 6th. We wish them well in that all-important game. This week it was the turn of our 5th Classes to venture out and explore the world beyond the school gates. This field trip was a City Tour which took in Dublin Castle, the City Hall and St Patrick's Cathedral. The tour was led by well-known local historian Tomás Meagher who revealed the history behind the interesting places they visited. The staff at St Patrick's Cathedral undertook art and musical activities with our students with perhaps their mocked-up church organ - which the children got to operate and make music with - being the most memorable. As always, our students were well-behaved as they moved around the busy city centre and they returned having learnt a great deal about our fascinating capital. Wednesday 9 May 2018 - 1.40 p.m.
All Hurling and Camogie scheduled for this afternoon has been cancelled. The area of Knocklyon and its way of life has changed beyond recognition in the last 80 years. Luckily we have someone on our doorstep who can recall and recreate some of the common sights in our community from the middle of the 20th century. Michael Brennan - our neighbour from Knocklyon Road - paid his annual visit to our Third Classes this week. Michael, who has lived all of his eighty years in the same house, shared his memories of the area before urban development and even before electrification. He showed the children the candles and kerosene lamps used to light his house on dark winter days. He also showed the skillet and other pots which hung over the range, the large telephone used to contact the Rathfarnham post-mistress as well as farm implements - a scythe for cutting grass and a sleán used for cutting turf. Michael also demonstrated old cooking methods like making bread in a skittle pot and how butter was churned. He showed old photos of horses and carts and recalled that there were only 3 motor vehicles in Knocklyon when he was young. These were driven by the owners of the house where the Rutland Centre currently operates, the owners of Castlefield House and WT Cosgrave father of the Liam Cosgrave. This year's visit was particularly special as Michael's granddaughter Emma Brennan is a pupil in Mr Maguire's 3rd Class. We look forward to meeting Michael with his stories and photos and remnants of bygone times in Knocklyon in 3rd Class again next year. Seachtain na Gaeilge is promoted every year in the school. This year, through a wide range of activities, children - and teachers - were encouraged to use what Irish they have throughout the week. The emphasis is on spoken Irish and also on enjoying the language and a huge variety of games, activities and initiatives was introduced. These included Comórtas na bPóstaeir in which students had to illustrate an old Irish saying, Gardaí Gaeilge who distributed raffle tickets to Irish speakers and a range of board games such as Twister and Guess Who which classes played tri mheáin na Gaeilge. Over the intercom each day we heard 'amhrán an Lae' and the raffle for Irish speakers was held. Some year groups held an inter-class Tráth na gCeist (Quiz) and Seisiúin Cheoil were also held. Not to be left out, the teachers had a 'pop-up Gaelthacht' in the staffroom. All week, Irish was promoted from a host of different angles and everyone was encouraged to participate in any way they could. The reaction to Seachtain na Gaeilge was very positive and everyone seemed to enjoy the change of direction for the week. And as for our two strange visitors, by Friday afternoon they had disappeared as mysteriously as they had arrived. Maybe they're reading this in Tír na nÓg at this very moment. First on their itinerary was IMMA - the Irish Museum of Modern Art - in Kilmainham. Unlike other ‘museums’ this unique space is most concerned with drawing attention to what is modern and contemporary and as such, it is a very vibrant and ever-changing chronicle of art as it unfolds in modern Ireland. Among the intriguing exhibits, they saw paintings by Lucien Freud, a strange but interesting exhibition about Ireland’s coastline and a series of paintings focused on Syria called ‘War Changes its Address’. From here they proceeded to Richmond Barracks - a longtime symbol of British military power in Ireland now a museum with a particular connection to the 1916 Rising. It was here that more than 3,000 men and women were taken as prisoners after the rebels’ surrender in 1916. 90 death sentences were handed out and 14 executions took place in nearby Kilmainham Jail in May of that year. In addition to the military exhibits, the children visited a restored 1920’s classroom where they dressed up in clothes of that era and saw the desks, slates, chalks and canes used in that time. Many of them realised how lucky they are to be students one hundred years later! Another stop on their tour was Goldenbridge Cemetery which, until recently, had been closed to the public for 150 years. Before this cemetery was established in 1828 by Daniel O Connell’s Catholic Association, Roman Catholics living in Dublin City had no cemetery to bury the remains of their dead. By Law all burials could only take place in Protestant churchyards with fees being paid to the relevant pastor and no Catholic prayers could be recited. This graveyard has a connection to Knocklyon since its most recent interment was that of Mr Liam Cosgrave - late of this parish - who was buried beside his father WT Cosgrave in October 2017. This annual event is hugely popular and this year it attracted over 300 girls and just under 300 boys representing dozens of primary schools across South County Dublin. The race is run over 2 kilometres and each school is judged based on its first 4 runners home. With such a large group of girls competing in a single race, it was very difficult to get to the front. However, four of our girls – Layla Halpin, Rachel Lawlor, Heather Bolger and Shannen Blake – managed 5th, 6th, 7th and 9th place at the finish with our other runners following close behind. This showing gave overall first place to St Colmcilles SNS in the girls’ event. In the boys’ race, Sean Luz – according to team coach Ms Synnott – ‘stormed the field’ and came home first beating almost 300 other competitors by a long distance. His teammates Ben O connor, Conor Donnelly, and Kevin Byrne were well up the field at the finish and, as a team, they secured third place. A great return for all the effort put in by our athletes and their coaches Ms Devine, Ms Minogue and Ms Synnott. We look forward with great anticipation to their next event – The South Dublin County Council Race Series – which continues in two weeks. Tuesday 10 April 2018 - 1.00 p.m.
Senior Hurling training scheduled for this afternoon has been cancelled due to rain. Eamonn Walsh and as always it stood out as one of the focal points of the school year. Bishop Eamonn was assisted by our own Fr Joe and Fr Martin and the ceremony took place in the parish church which had been beautifully decorated using the artwork of the candidates for Confirmation. In his homily, Bishop Eamonn referred to the Gifts of the Holy Spirit. He reminded the candidates of the importance of courage and right judgement saying, ‘Only dead fish go with the flow – strong fish swim against the current’. He told the children that they had a great deal to be thankful for and that they should be mindful of others who are not so fortunate and that in their lives they should seek to ‘walk with those who have been dealt a bad hand’. After the ceremony, the students and their parents and grandparents were invited to a thoughtfully prepared reception in the school hall. The reception was organised by the Parents Association who looked after the guests in real style. Our sincere thanks goes to the many parents who provided wonderful hospitality on both days. All after-school sport activities on Wednesday (14 March) have been cancelled due to the poor weather. This includes Cross-Country, 3rd & 4th class Hurling and Camogie and 5th/6th class Camogie. Drama took centre stage in St Colmcille’s this week as the ‘trial of the century’ unfolded before our very eyes. Fed up with the criminal activities of the Big Bad Wolf, the members of the magical fairytale world decide to put their meanest baddest member on the stand to answer for a raft of crimes and misdemeanours. These included huffing and puffing, grandmother impersonation, several counts of sheep abduction and – worst of all – murder by ingestion (eek!). Among the witnesses who gave evidence at the trial were Little Red Riding Hood, the Three Little Pigs, the Boy who cried Wolf and his Sheperdess mother. This was the plot of ‘The Big Bad Musical', a riotous play full of colour, music and great fun which was staged by the Fifth Classes of Ms Farrell and Ms Murphy. Great support for this venture was also provided by Ms Mac Allister and Ms Maher and the impressive set was designed and co-ordinated by Emma Higgins along with several parent helpers. The overall production was directed by Mary-Rose Stauder who – over a period of six weeks - gave her time and expertise in drama to bring this wonderful presentation to the stage. The dress rehearsal in front of the entire school yesterday was a great success, surpassed only by the performance last evening in front of 150 parents who were entertained and enthralled by this amazing production. A memorable event indeed in the annals of St Colmcilles. St. Colmcille's Senior and Junior Schools will reopen tomorrow, Monday, 5th March. Many thanks to those parents and staff members who did Trojan work to clear access to and around the school grounds today. Also, a special word of thanks to South Dublin County Council who cleared Idrone Avenue earlier today. ​Please be advised that the footpaths in Knocklyon are still in a dangerous condition. Please advise your children to take extreme care on their journey to and from school. Please also note that vehicular access to the school is limited and we strongly advise parents and pupils to travel to school on foot where possible and avoid bringing cars to the school. Our Fourth Class students took part in Coirm Gael Linn in Clontarf this week. Coirm is a drama festival in which all performances are in Irish and it is to this ‘féile’ that Mr Dundon and Ms Woods brought their class to present ‘Camcuairt na Cathrach’ on Wednesday last. With more than a nod to Francis Brennan’s famous grand tours, this ‘turas’ wound its way through the famous sites of our capital city. The ‘camchuairt’ dramatically represented the well-known landmarks of the GPO, St Stephen’s Green, Croke Park and Moore Street. Our room 12 students were the only presentation at Coirm from an English-speaking school: all other performances were by groups from Gaelscoileanna. So impressed were the judges that they gave two awards to our representatives – one for ‘aisteoireacht’ (acting) and the other for ‘Iarracht na Ghaeilge’ (great effort at Irish). Supported by several members of our Grúpa Traidisiúnta musical ensemble, the group gave a special performance yesterday for their parents in the school hall. It looked like an extremely enjoyable and worthwhile event. On Thursday this week, the Service of Light took place in the parish church. This ceremony, which is part of the children’s preparation for Confirmation – is seen in St Comcille’s as a very important event in the school calendar. This year the service was lead by Fr Joe Mothersill and it involved the participation of all Sixth Class students. From the beautiful hand-painted glass candle holders to the artwork on the walls ot the church, each and every candidate for Confirmation was represented as an essential participant in the ceremony. The ceremony focuses on the belief that we, as practising Christians, are ‘lights’ for the rest of the world. We are lights in the sense that our way of living is an outward sign of the faith we carry inside. 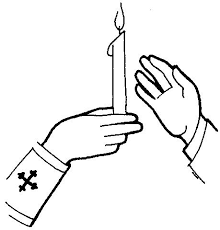 In this ceremony too, the importance of the role of parent s is recognised and it is always a special moment when – in a symbolic representation of the passing on of faith to a younger generation – the parents light their children’s candles with their own. In his address to the congregation, Fr Joe spoke of spiritual as well as physical light. Referring to the glasses containing candles on the altar, which each Sixth Class student had painted, he remarked how different each one was. He suggested that this showed beautifully how each one of the candidates for Confirmation was unique and could be a light in their community in their own special way. This week, the quiz season started in earnest. Three teams coached by Messrs Fitzpatrick and Kearney went to Ballyroan library to contest the qualifying rounds of the South Dublin Libraries Quiz Competition. Two of these teams recorded first place in the contest. Later in the week, these two teams went forward to represent St Colmcille’s in the South Dublin finals of the competition. In a field of 31 schools, our team were joint second at the end of the quiz and received prizes of gift vouchers as well as two sets of books for our school. Well done to all involved who, we know, put a great deal of preparation into this endeavour. Catholic Schools Week 2018, in preparation for this unique jamboree, will celebrate the family.Pope Francis reminds us in Amoris Laetitia that the Church is ‘a family of families’ and with this in mind St Colmcille’s embarked this week on an exploration of what a family is, why they are important and what part each and every one of us plays in the families of which we are a member. On Monday the focus was on our family at home and children were encouraged to identify the qualities of their family – qualities such as love, kindness and forgiveness – and to examine what actions show these qualities. Activities of all kinds were undertaken in different classes throughout the school and on Wednesday all classes from Fourth to Sixth assembled in the parish church to celebrate Mass as well as the many families to which we belong. Children wrote prayers and requests for their families and these were offered up at the Mass. In his homily Fr Joe Mothersill spoke of the importance of families and underlined their nurturing quality. ‘Within a family we are like daisies’ he said ‘because daisies bloom where they find room’. In every family, we find our own space and we are given understanding, kindness and love which allows us to ‘bloom’ and thrive in the world. On Thursday, the very special place of grandparents in family life was recognised and the elderly relations of many of our Third Class students travelled from near and far to be with their grandchildren in St Colmcille’s on this special day. The two generations joined Fr Joe in the celebration of Mass where, once again, the importance of families was recognised and in particular, the part grandparents play in the lives of our youngest students. Later the Third Class students became hosts to their grandparents as they brought them to their classrooms, showed them their school and their work and served them refreshments. Grandparents day is firmly established as an important annual event in our school and has become over the last few years, a valued tradition. Indeed you could say that even before 2018’s special focus on families, we in St Colmcille’s have always recognised and valued the family as an important part of our community and especially the contribution of the older generation to family life and the life of the community in general. They will be collecting for recycling, any small appliances with a battery or electrical lead which you no longer use or which is broken. Please note that this is for small appliances only (no washing machines or fridge freezers please!) and Tuesday 6th is the only day on which you should send in your small appliances for recycling. Our Green School Committee is a very active and dedicated group of students who – under the guidance of Ms O Gara – make sure that our school lives up to its reputation as an environmentally aware and proactive school. Comprised of 12 members drawn from our Sixth Classes, they meet up every Monday during lunchtime to discuss environmental issues and plan how St Colmcilles should respond to them. They then circulate information and suggestions to every class. Initiatives they have undertaken include battery, stamp and mobile phone collection, starting ‘click teams’ to save energy in the school and promoting issues relevant to the retention of our Green Flag School status. In addition to the above WEEE initiative, they are currently promoting two competitions. One is the ‘Water and Your Environment’ A3 poster competition, closing on March 2nd (see greenschoolsireland.org) and South Dublin County Council’s Environment Poster Competition (closing date 16/2/2018) based on any of the 4 themes – Anti-Litter, Water Conservation, Energy Conservation or Waste Prevention. We wish the Green School Committee well in their important endeavours and hope that there will be a great response on February 6th to their appeal for small appliances such as hairdryers and straighteners, electric tootbrushes, kettles, irons etc. mixed through with boundless energy? Well, you get Niall de Búrca of course! Our old friend Niall de Búrca returned this week to delight and enchant everyone with his unique brand of story-telling. Swinging from ancient to modern, Irish to English and from cool to downright weird, he lead adults and children alike through an array of fascinating places and characters. When he disappears, Niall always leaves the school in a slightly altered state to how he found it and this visit was no exception. Where did he go? When will he return? Who knows. Until then we’ll make do with the magical pictures, sounds and characters he left in our heads – and that’s plenty to be getting on with! Sports Cancellations - Due to the freezing cold temperatures and the promised inclement weather, today's 4th class hurling and hockey game have been cancelled. Apologies for any inconvenience caused. Well, your child may well recognise him. He is Sean William Mc Loughlin from Athlone – better known through his online pseudonym Jack Septiceye - an Irish producer, game commentator, and internet personality on YouTube. 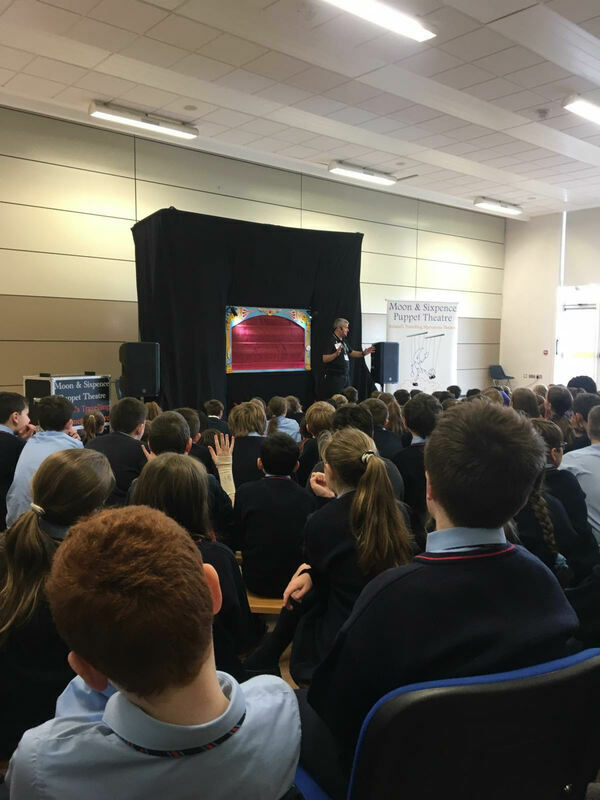 Most teachers in St Colmcilles’s heard about him for the first time on Wednesday when they attended a presentation on Internet safety for children presented by Paul – a representative of an organisation called ‘Zeeko’. Jack Septiceye has well over 17 million followers on YouTube and yet, was unrecognisable to most people in the room. It was an entirely different matter however when Paul mentioned his name at his meetings with groups of children from the school throughout the week. It illustrated well, how little we know about our children’s online lives. Zeeko is an organisation which seeks to equip parents and teachers with the knowledge and tools to protect children online and to empower children to make smart decision online. To date, they have made presentations to 20,000 Irish students in over 400 schools so the presentations Paul made, were very much based on Irish children’s use and experience of the Internet. While focusing as much as possible on the positive effects of the Internet, Paul sought to make the students of St Colmcille’s aware of the online ‘story’ of themselves they are building every time they access the Internet: how they are creating an indelible footprint on the Internet which is virtually impossible to erase. In the course of each presentation he addressed the areas of Digital Identity (your online story), Cyberbullying and how to respond to it, Online Deception, Inappropriate Content and Digital Health.